Norway might not be the first place that comes to mind when you think "honeymoon," but it should be. It’s accessibility, friendliness, and ease of travel means you can find information effortlessly, converse with expert guides before you leave, and even book your entire trip ahead of time for no-mess, no-stress travel. If you’ve spent months or even a year organizing your wedding, the last thing you want is to give yourself one more thing to plan. In terms of where to go, let your greatest passion be your guide. You can check off several adventures at once in Norway, but you should identify a focal point – including a top activity – and arrange flights, accommodations and guides accordingly. 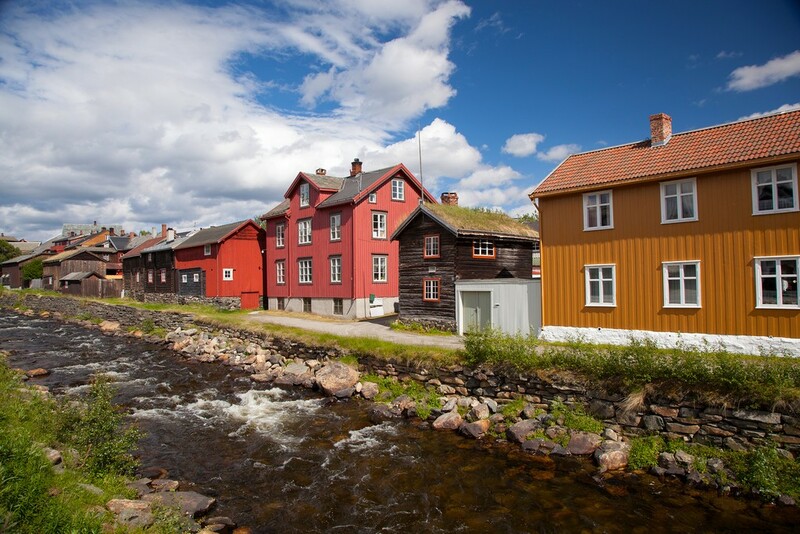 Want to take in some of Norway’s great cultural attractions? Split your time between Oslo, Norway’s dynamic capital, and Bergen, it’s beloved second city. Want to stand in awe with your loved one under a sky of dancing colors? Go north in the winter to chase down the Northern Lights, making a cozy base in Tromsø (the so-called "Paris of the North") or Alta, a charming Arctic city. 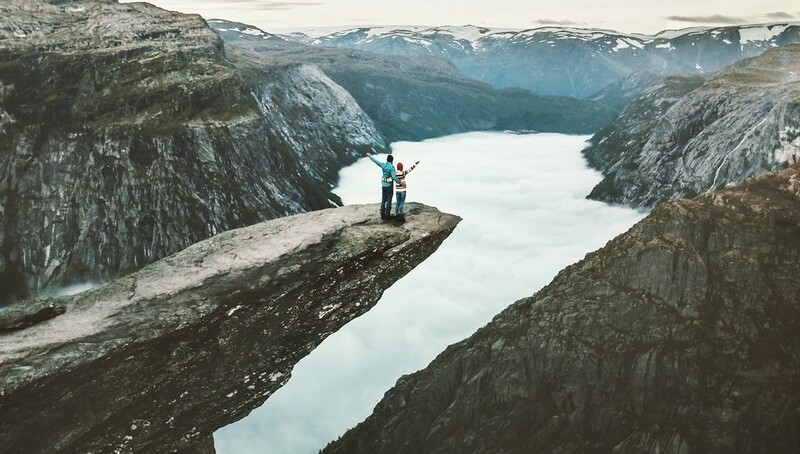 If hiking is your main game, and you want to see some of Norway’s most famous natural monuments like Preikestolen and Trolltunga, the city of Stavanger would be a great jumping-off point. And if you want to steam up the coast and marvel at the fjords, there’s nothing more romantic, or indeed more convenient, then cruising with the Hurtigruten. 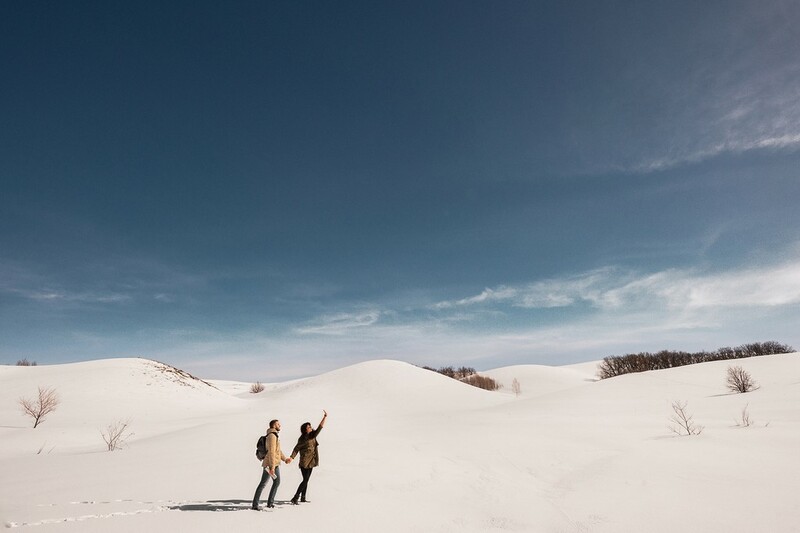 Adrenaline-seeking couples will be able to choose from an endless array of activities far beyond hiking, including mountain biking, horseback riding, skiing, dog-sledding (check out these multi-day sledding ideas), and water-based activities like rafting, fishing, and whale-watching safaris. Or if you just want to relax and enjoy each other’s company, there are plenty of luxury hotels - some charming and historic, some sleek and contemporary - to feel at home in. 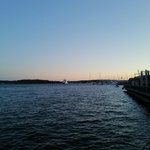 Some travelers might steer clear of Norway in winter simply because it’s so far north, but Norway actually has a milder climate than many other Arctic destinations thanks to the Gulf Stream, which carries warm waters from the Atlantic and transfers warmth to the atmosphere. 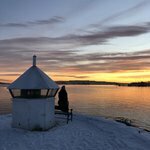 What’s more, Norway can be one of the most romantic destinations in winter; the perfect season to cuddle up by a fireplace while snow falls softly outside. Add some great winter activities to the mix, and you’ve got the makings of an utterly enchanting honeymoon. 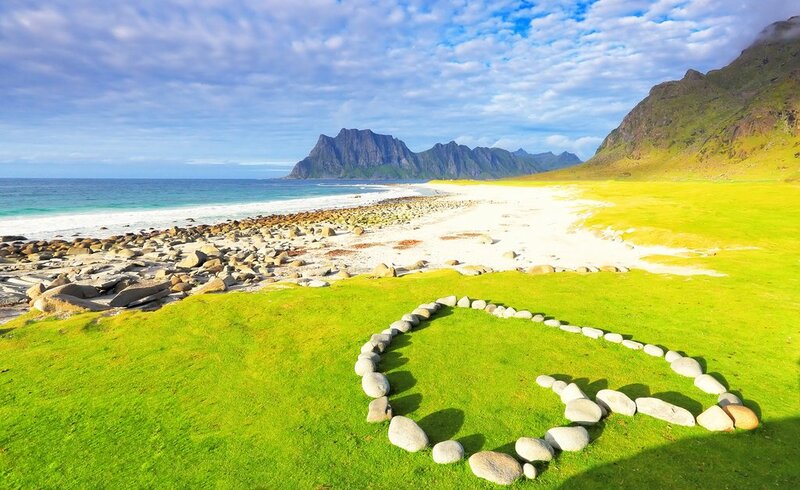 Norway in summer is a dream, and the most popular time for many couples to take a honeymoon. Just make sure you start planning early to avoid disappointment when booking hotels and tour packages. 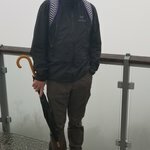 And remember: the weather may be warmer and the days may be longer, but Norway’s summers are not the summers you’re used to. Pack for all weather situations and, if you’re planning on lighting out into the wilderness, all types of terrain. Even in summer, hiking boots should be sturdy and well-lined, keeping feet warm and dry, and you'll be grateful for a lightweight poncho in sudden showers. 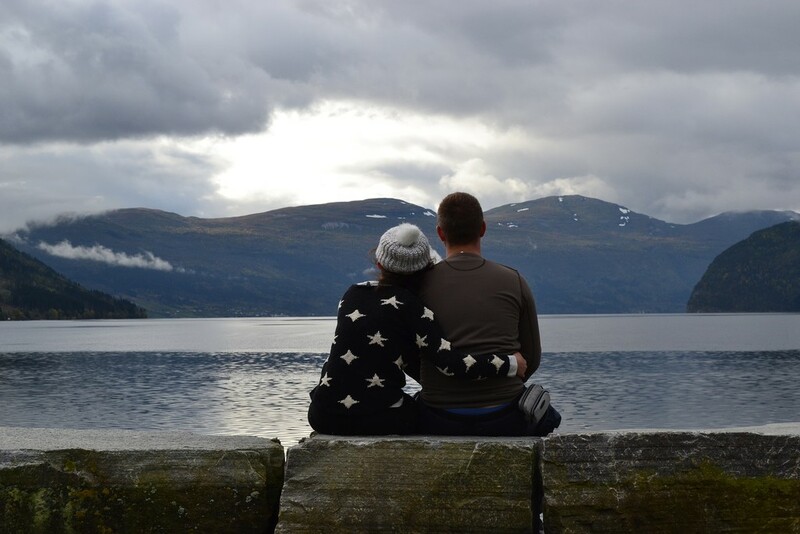 Norway is an incredible country, but sometimes all you need to have a memorable vacation is to experience it all alongside someone you love. With that in mind, here's an unofficial guide to all things romantic in Norway. There’s nothing quite like the transformative power of a well-preserved, historic property, and luckily, Norway is absolutely full of romantic old hotels that provide plenty of imagination inspiration. 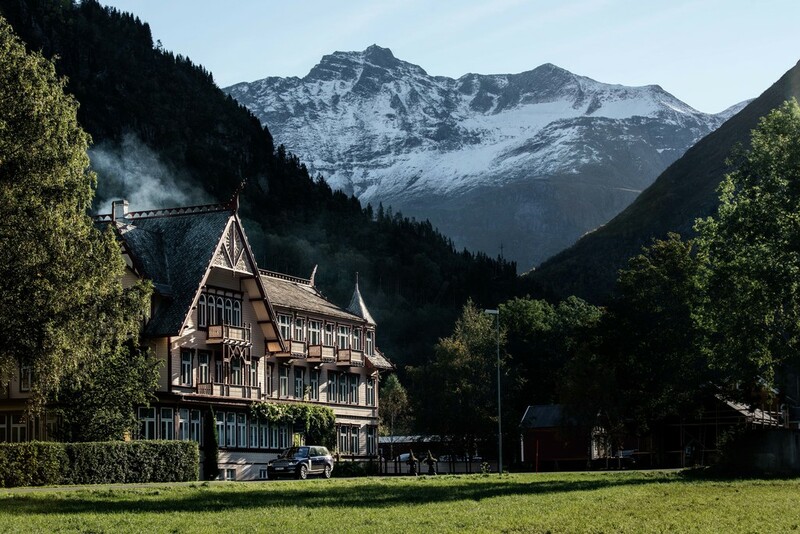 Among the best, Hotel Union Øye sits directly on the narrow, secluded Hjørundfjord and within striking distance of the Geirangerfjord and Alesund. Stay in elegant rooms full of gorgeous antiques, named after visitors of the past, including kings (Kaiser Wilhelm), noblemen, explorers and writers (Sir Arthur Conan Doyle). You can book a romantic stay that includes a 3-course meal and champagne upon arrival, and wake up to guided tours up majestic peaks nearby. Boat trips and sea rafting tours are a great way to experience the fjords from an entirely new perspective, and nothing quite beats the indulgence of a private helicopter tour. If you’re keen on pairing adventure with some serious relaxation, consider booking a hotel especially known for its spa services, so you can come back from a strenuous hike and head straight to the sauna, steam room, or massage table. For a truly blissed out honeymoon, check out the Juvet Landscape Hotel, which wows through and through, not only for its stunning location in the untouched valley of Valldal, but also in the way its sleek, contemporary architecture mingles with its pristine, fairytale-like surroundings. Built steps away from the main residential buildings and tiny “birdhouses” where guests can stay, the welcoming spa boasts a dramatic glass façade with a view of the river running through the property, an outdoor hot tub, and a relaxation room with an open fireplace. Norway is so rich in gorgeous fjords, it can be hard to choose from among them. But if you’re looking for a winning experience when it comes to natural beauty, seasonal majesty and historic properties, nothing beats Hardangerfjord. In addition to being home to Trolltunga, the flat spit of rock that juts out over the valley like a troll’s tongue (giving it its name), the Hardangerfjord region is absolutely flush with waterfalls, including the graceful Vøringsfossen, which can only be approached via a narrow path and suspension bridge, and four thundering cascades in the Husedalen valley. And of course, if you’re looking for a truly swoon-worthy place to park your weary feet, nothing beats Baroniet Rosendal – a centuries-old manor house surrounded by rose gardens – for location, service, and refined décor, including a sumptuous library, a restored greenhouse serving lunch, and an annual Chamber Music Festival. Rorøs knows a thing or two about living symbiotically with the land: Hundreds of years ago, the town was first established upon the discovery of copper ore, and over the years this rich, crucial mineral transformed Rorøs from a remote backwater to a mining boomtown. These days it’s well-known for a few other things: winning awards for its dedication to sustainability, and being added to the UNESCO World Heritage list for its charming, old-fashioned wooden buildings. 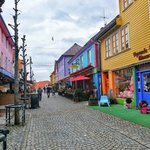 If you care about the environment and also want to spend time in one of Norway’s cutest towns, head to Rorøs for your honeymoon. Its narrow streets full of independent shops and artisan workshops are perfect for wandering in any season, and many of its colorful wooden cottages and cabins have now opened their doors to the public as hotels and inns. For a special indulgence, check out the Rorøs Hotel. This luxurious property boasts a spa with an otherworldly, sleek, scrubbed concrete pool, floor-to-ceiling windows, and indoor and outdoor hot springs. No surprise here: nothing beats the Northern Lights for sheer beauty, awe, and transformative power. You’ll never forget the first time you see those ethereal sheets of color dance their way across the sky. The only thing that could make it better? Seeing it alongside the person you’re going to share your life with. The aurora borealis can be quite the elusive phenomenon, however, so even if you plan well, you’ll be leaving a lot up to chance. 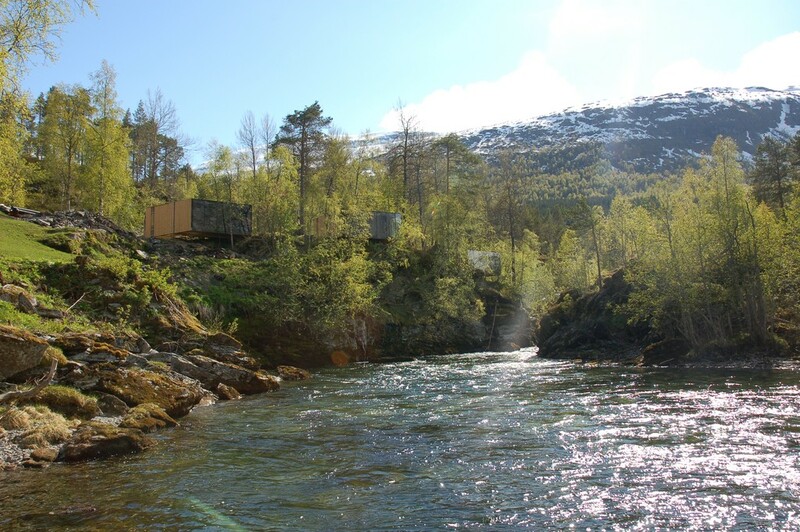 Book one of the cozy, rustic rorbuer (fishermen’s cabins) on the Lofoten or Vesterålen archipelagos - just one of Norway's many unique lodging options - or head even farther north to the remote town of Alta. 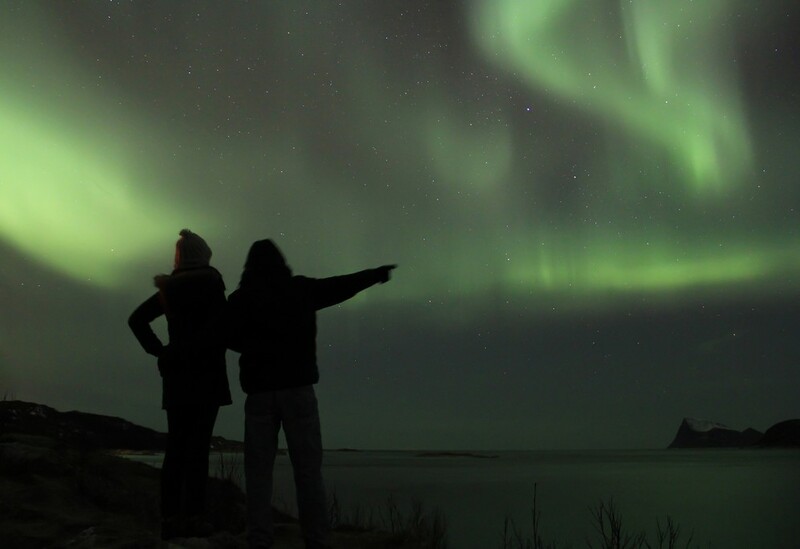 The most accessible gateway to the Northern Lights, however, remains Tromsø, where you’ll have a wide range of hotels, great nightlife and a rich culinary scene to entertain you when you aren’t out looking for them. What’s more, you can book a night at the luxury Malangen Resort about 70 km from Tromsø, which will pamper you with a fine-dining restaurant and a spa and sauna with a glass front, so you can enjoy some serious wintry downtime together.